Indiana Landlord Tenant Law protects the rights of landlords and tenants and establishes responsibilities that landlords and tenants are required to adhere to. The statutes also provide remedies should one of the parties breach the rental agreement or otherwise violate Indiana Landlord Tenant Law. The statutes are set forth in the Indiana Code Title 32 Article 31, Landlord – Tenant Relations. Stay up to date on Indiana Landlord Tenant Laws + Save money on tenant screening and other property management needs. Join AAOA today, it’s FREE! Landlords may require a tenant to pay a security deposit before granting access to the premises to the tenant. Within 45 days of termination of the tenancy, the landlord must return the security deposit to the tenant. Landlords may deduct an amount from the security deposit to recover costs related to damage to the property at the end of the tenancy, but not for normal wear and tear. Landlords may also recover past due rent by withholding the amount of past due rent or utilities from the security deposit. Indiana Landlord Tenant Law requires landlords to send the remainder of the security deposit to the tenant’s forwarding address. If a landlord fails to provide the tenant with a list of alleged damages in writing within the required time limit, the landlord forfeits the right to retain any portion of the security deposit, as explained by LawServer. Include the Disposition of Security Deposit with your Indiana Landlord Forms and you have a document that allows you to explain in writing if any portion of the security deposit is withheld and why. Under IC 32-31-5-7, Written acknowledgement by tenant, the landlord must require the tenant’s written signature, acknowledging that the premises is equipped with a smoke detector. The smoke detector requirement under Indiana Landlord Tenant Law cannot be waived, so it is important to include the Smoke Detector Notice with your Indiana Landlord Forms. (1) The landlord agrees to rent the premises to the tenant for a specified period of time. (2) The time for the determination of the tenancy is specified in the contract. (3) A tenant at will commits waste. (4) The tenant is a tenant at sufferance. (5) The express terms of the contract require the tenant to pay the rent in advance, and the tenant refuses or neglects to pay the rent in advance. (6) The landlord-tenant relationship does not exist. For purposes of Indiana Landlord Tenant Laws, “waste” does not include failure of the tenant to pay rent. It may include the tenant’s threat to commit damage to the property or actions of committing damage. The court may find that the landlord has suffered or is at risk of suffering, injury, loss or damage. There are no statutes regarding pet deposits under Indiana Landlord Tenant Law. Indiana Landlord Tenant Laws are in place to protect the rights of both landlords and tenants. You can comply with all the relevant statutes when you conduct thorough Indiana Tenant Screening and when you always have Indiana Landlord Forms on hand for the various situations that arise during a tenancy. A key component of landlord tenant laws is also Indiana Tenant Screening Background Checks. We’ve dedicated an entire page to it because of its importance. Visit Indiana Tenant Screening Background Checks to screen your tenant. All states require a variety of forms to rent an apartment to a tenant and Indiana is no exception. Check out American Apartment Owners Association’s Indiana Landlord Forms now. 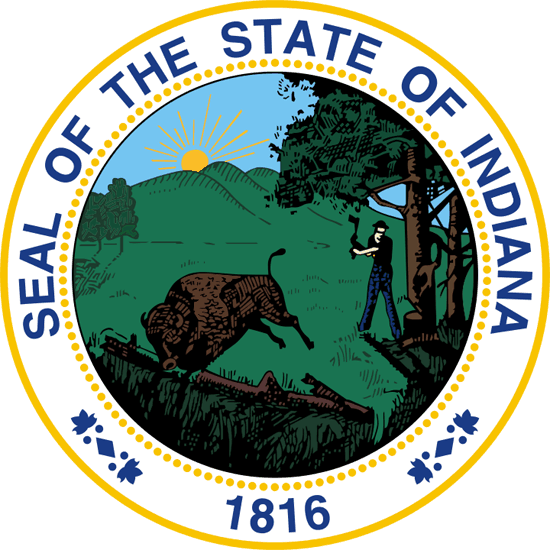 Looking for landlord tenant laws outside of Indiana? The American Apartment Owners Association offers helpful landlord tenant laws for all 50 states. Click on any of the states listed below and go directly to its landlord tenant law page. To visit the homepage of landlord tenant laws, click here.